Celebrating fifteen or sweet 16 is the dream of many young girls. Every detail is important during this event, the dress, the hairstyle, the party, but something that should never be taken with less importance is the makeup. One of the activities that young girls should do early hours before the party their fifteen years is makeup. Do you want a dream makeup for your fifteen years? Look no further Artistry by Mindy, you have what you need for that day to look radiant, with the ideal makeup for you according to your style, your skin tone and of course your age, since many girls are loaded with makeup and in result they are greater than what they are really fulfilling. The first thing that we will do, first of all is to exfoliate your skin, to moisturize, and then to make up with soft bases. If you have acne only it is necessary to use concealer. Your complexion will look cool with just one layer of color. We have quality tools for a spectacular makeup, in the part of the eyebrows, we define them with a color similar to the one of your hair, our professionals also will be in charge of the epilation of the same, so that you are perfect. Although in previous texts we focused on the fact that quinceañeras have makeup according to their age and do not look older, many people have wondered if there is a way to use strong colors on the lips? To what Artistry by Mindy, responds if, if it can be applied by way of lip dye. This will look natural. Depending on your skin tone and the dress you will wear that special day in your life we ​​will apply the appropriate colors and shadows. 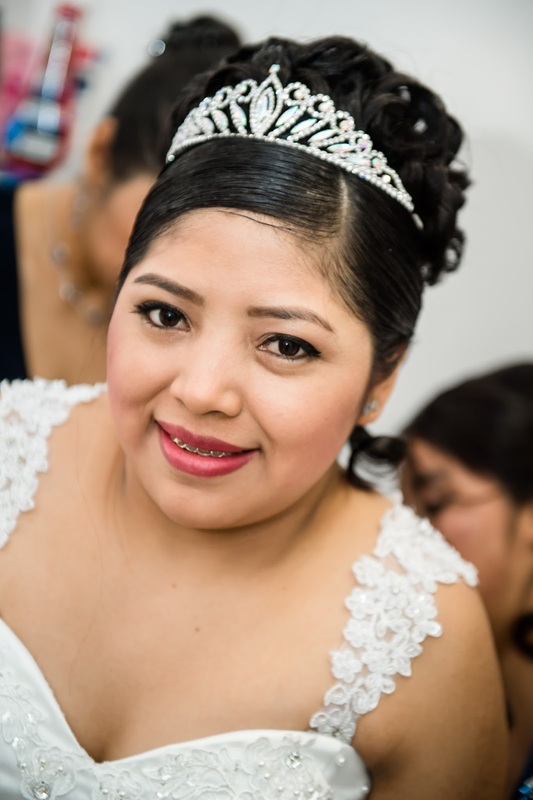 Although it is also thought that when the quinceañera wears a blue dress, she must necessarily use a shade of that color which is not so, we instead choose a brown color palette, but if you want the blue we can apply it in the inner corner and complete with a neutral pink lip color. This is only for this blue color for other types of colors we will apply the one that will make you look radiant just contact us, and you will see the difference. To finish the article we want to tell you that quinceañeras are that quinceañeras, young girls although this celebration symbolizes the transition from girl to woman, does not mean that it will not meet that age, so we emphasize maintaining naturalness in every aspect of makeup. That includes eyebrows and eyelashes since sometimes they are used false and are not used the appropriate ones with which it falls in an error that can be avoided absolutely. Article made on the basis of: Quince Madrina (s.f. ), Soe Kabbabe (2017), Jazmin Alvarez (s.f. ).